Detection of key issues that help to strengthen loyalty and increase business profitability. 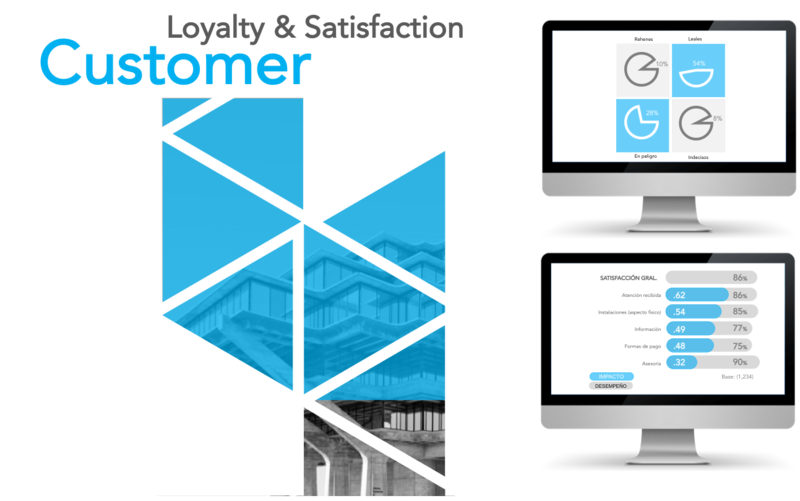 Through our customer loyalty solutions it is possible not only to know each customer touchpoint’s performance but also to identify which of them are more relevant and those that have a higher potential to create or destroy satisfaction. • Measure attribute and process performance. • Identify each attribute and processes' impact on satisfaction. • Determine priority actions to create a strong loyalty. • Determine the size of each customer segment: loyals, hostages, at risk, at danger and their improvement opportunities.